End the screen time battles and start better online habits for your whole family. 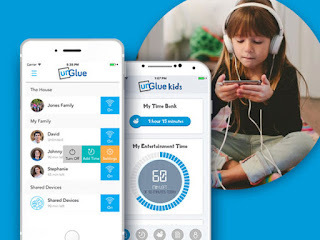 UnGlue is a clever solution that gives kids the power to manage their screen time within their parents' limits. With simple controls to institute daily entertainment time limits, set internet access schedules, and monitor the activity of any mobile device on your home network, unGlue lets you find internet balance without becoming overly controlling. Rather, it empowers your kids to become a part of the solution.